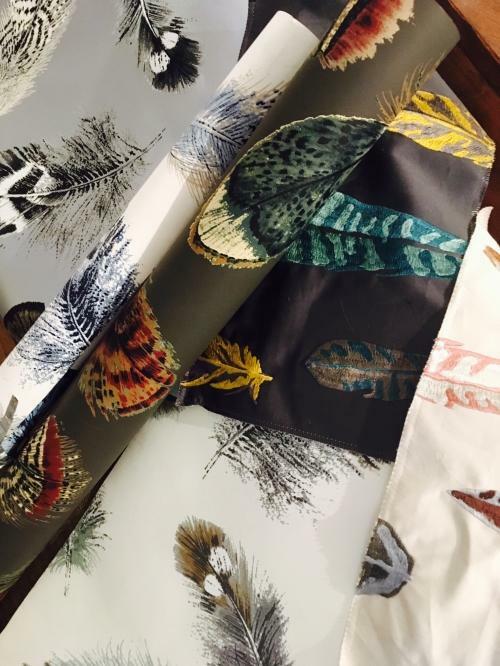 These stunning feather design fabrics and wallpapers are proving a huge hit in the shop. 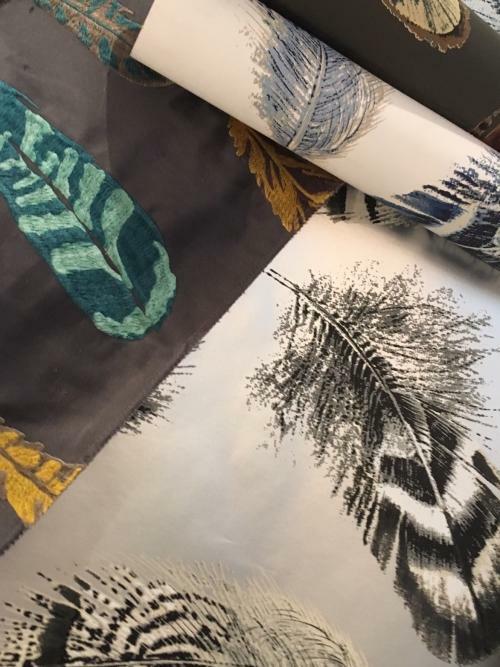 From warm golden tones to this season's blue and white, there is a design for all interiors. 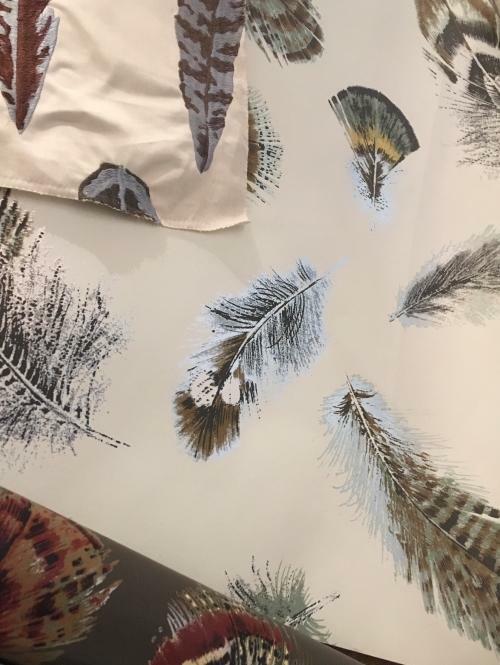 Adding a touch of feather gives a fabulous light-hearted statement to your scheme. 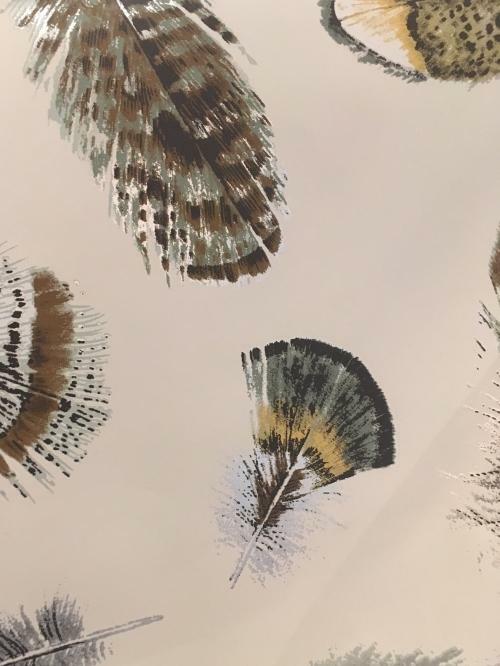 Pop in to see which feathers tickle your fancy!